Lovely view and capture ! beautiful ,soothing colors! A lovely seashore capture, Lynn. Your artwork recently submitted to our group WFS, has been chosen to be featured on our homepage with other members of our family of friends and fine artists. 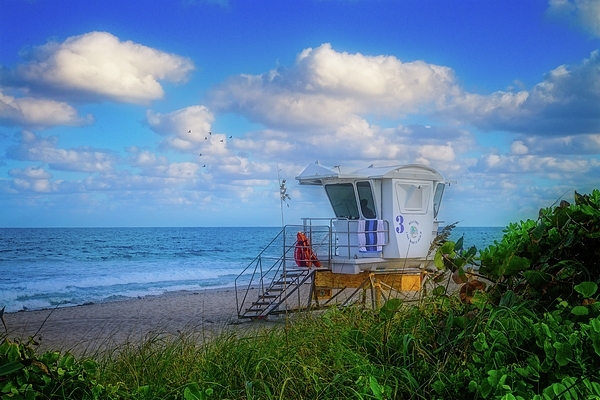 Thanks for sharing the beauty. 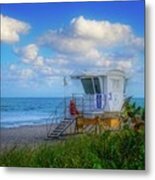 SAFE WATERS by Lynn Bauer - A safe harbor where a life guard station hosts a guard watching over the waters of the Atlantic Ocean on a gorgeous winter's day, where big billowy cumulous clouds float over the incredible blue waters. 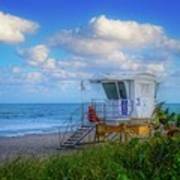 Taken at Lake Worth Beach in Florida.